Stratford EZ-Clenz Dental Chews are tasty chews that clean teeth and prevent plaque and tartar buildup. Dental chews are one of the best and easiest ways to help your dog maintain a healthy dental environment. Dogs love the taste and the beef hide brings out their natural chewing instinct. Dual enzyme action of Glucose Oxidase and Lactoperoxidase help keep teeth clean and fight the buildup of tartar and plaque. Simply give the recommended daily amount of chews for long term dental health. Give one chew daily for a dog up to 50 lbs. It is recommended to monitor your dog while this product is being chewed. Gulping whole chews can be harmful to a dog. 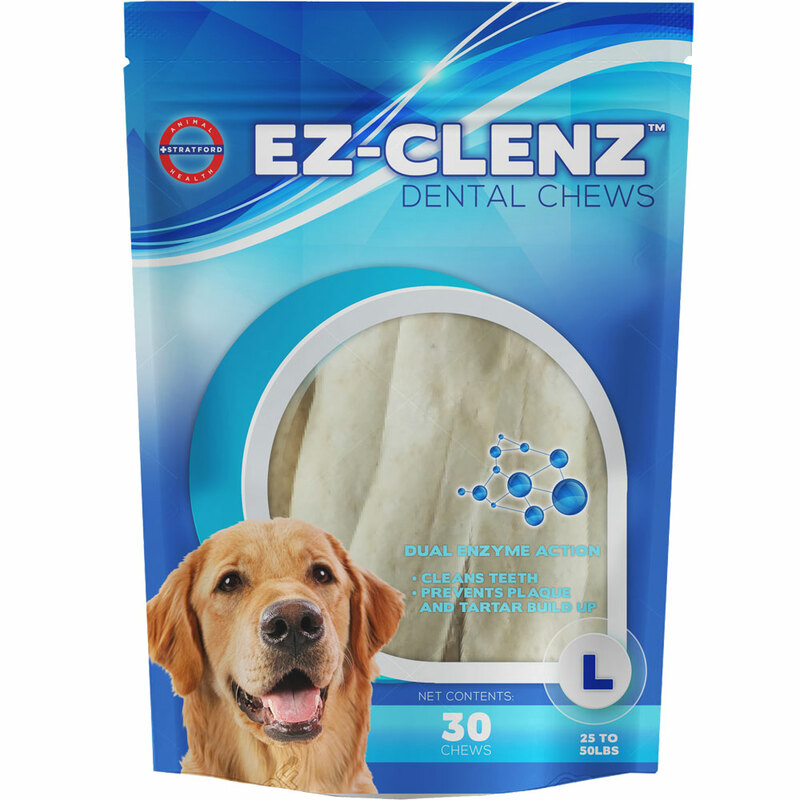 EZ-CLENZ Dental Chews can be used in combination with other dental care products to optimize oral health. Veterinarian recommendations should be observed. This product is recommended for intermittent or supplemental feeding only. Do not feed to cattle or other ruminants. Keep out of reach of children.